Awhile back I showed you some local business cards, so I figured I should show off my own as well. 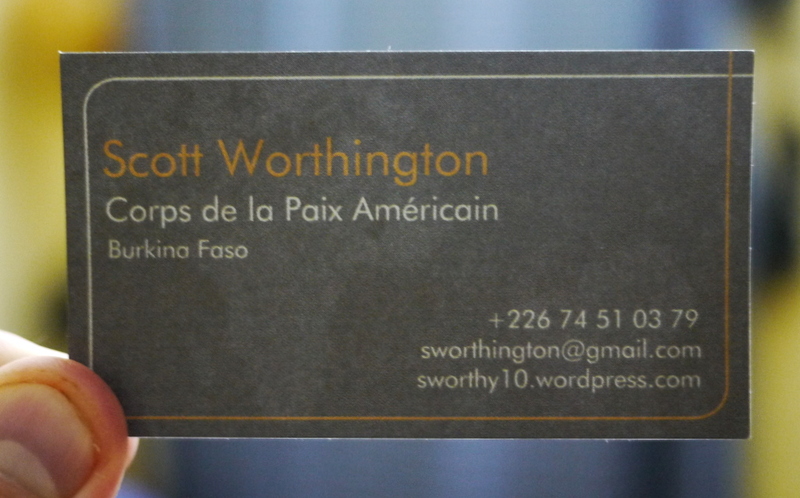 Though many of my fellow PCVs find it amusing that I carry business cards around, they’ve been incredibly handy for me. I give them out to all of the borrowers I meet (100+ so far), potential work contacts, expats, and other people that I meet while traveling. 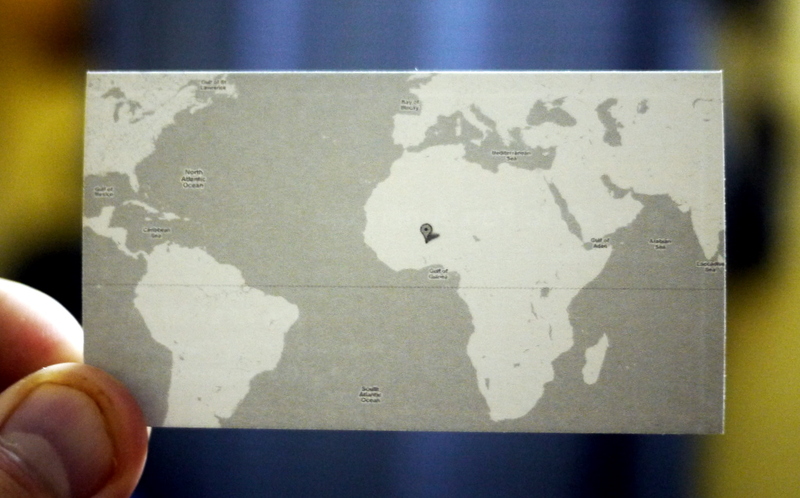 While I liked the design of my old cards, I had ordered them before arriving in Burkina and without knowing my contact information in-country and writing my number on each one was getting annoying. While back in the US on vacation made sure to resupply from VistaPrint – this time adding a bit more information and sprucing up the back (with the GPS coordinates of my house no less). I also picked up matching cards for my Burkinabe colleague and next door neighbor who requested some after seeing me making the design.